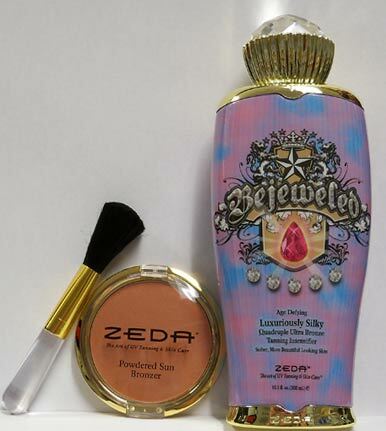 This FREE giveaway is for BEJEWELED Tanning Lotion and bonus Bronzing Powder/Application Brush by ZEDA. GIVEAWAY ENDED AUGUST 30 , 2010 11:59 PM CENTRAL TIME. GIVEAWAY ENDED AUGUST 30, 2010 11:59 PM CENTRAL TIME.